Some Trek-themed Stick-Upz stickers might be of interest to Star Trek: Discovery fans. 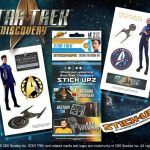 The officially-licensed Star Trek Discovery Stick-Upz Series 1 of stickers is now available for fans. 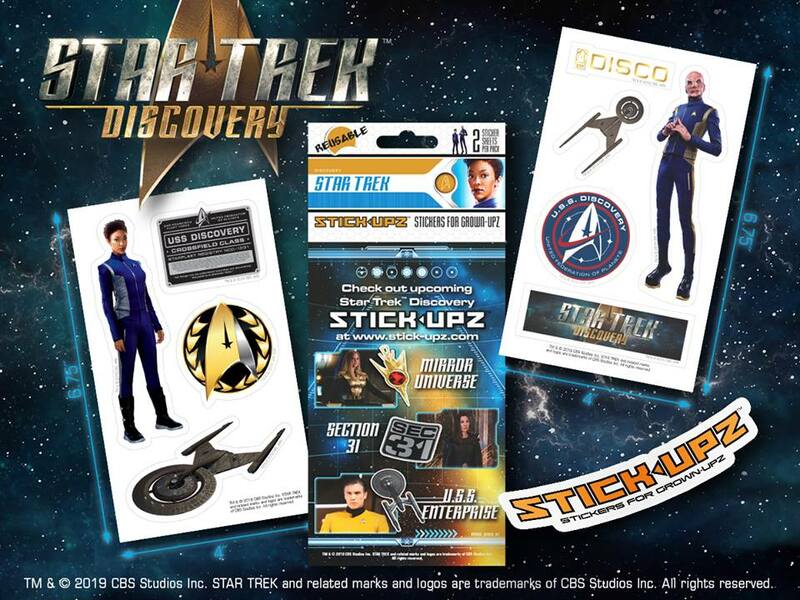 The two packs of removable stickers feature Michael Burnham, the USS Discovery, a USS Discovery dedication plaque, a Discovery Admiral’s badge, a smaller USS Discovery, Saru, a Disco sticker, a Star Trek Discovery sticker, and a USS Discovery assignment patch sticker. The set of two pages will cost $5.99 and can be ordered here. And more will be coming, including Killy Tilly, a Mirror Universe emblem, a Section 31 patch sticker, a USS Enterprise sticker, a Georgiou and a Pike sticker. Click on thumbnail for full-sized picture.